Will Russia’s withdrawal cause more unrest? 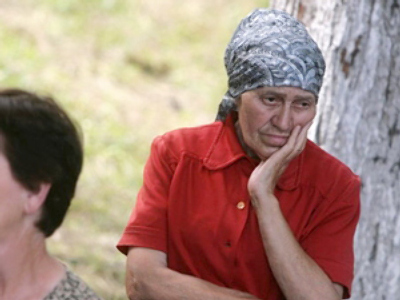 Many South Ossetians fear that when Russian troops withdraw, Georgia will attack again. One local man told RT that, “as soon as they have a chance to damage us they take it. My experience tells me that it's too soon to pull back Russian troops”. However there are some families who have come back to their homes despite all they’ve gone through, including half-Georgian families. Nina and her five-year-old son spent four days in the basement of their building during the war like many others. “I told my son it was fireworks but i think he understood what was going on. We came back to Tskhinvali yesterday and every time he hears shooting he asks me if we should hide in the basement,” Nina Karashvili said. On their way back to Tskhinvali, Nina was the only mother bringing back a son – most refugees still don’t think the place is safe enough. “I grew up here during the first war and I never felt like an outsider. After the recent events our neighbours also welcomed us back even though we are a Georgian family,” Nina said. Misha is one of the first children to come back to Tskhinvali and his mother hopes he never remembers the games adults used to play when he was a child.